Applebee’s is back with their monthly $1 drink specials. The special drink for April is a Strawberry-rita with a Twizzlers Straw, you can get it all month long for just a dollar! National Pretzel Day is April 26th. At Auntie Anne’s, when you buy any pretzel item you’ll get a FREE Original or Cinnamon Sugar Pretzel all weekend long, April 26-28. And at Wetzel’s Pretzels on April 26th you’ll get a free Original Pretzel, no purchase necessary. 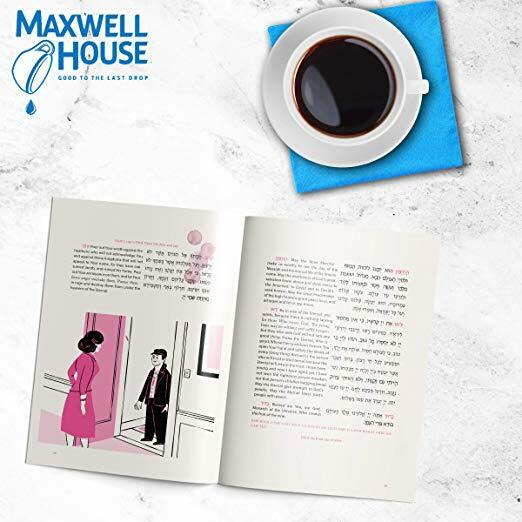 Free Haggada: This started April 1st and looks to be still available for fans of Amazon Prime’s The Marvelous Mrs. Maisel … Maxwell house has teamed up with the show in celebration of Passover, to offer a free limited edition Midge’s Haggadah with purchase of Maxwell House coffee while supplies last.